When I was young, I thought my life would be together by 40. I would navigate the world easily and achieve many things. I admit I also imagined I would be married with children. 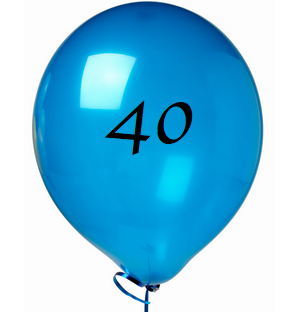 I turned 40 this year on the 29 Oct and when I think about where I am … a bittersweet laugh erupts. Bittersweet but more sugary than lemony. In fact I have achieved some things by now- I published two books (Fireheart coming out in paperback soon! ), I worked as a research scientist for 14 years and now manage a team in a challenging and dynamic scientific field. And I have made some excellent friends along the way- really amazing people who live their lives with both mind and heart. However, there is so much more I wish to do. As to navigating life easily … no. In fact, this year I’ve gone back to being a student. I just finished a Writers Workshop course in Writing for Children (excellent) and I’m sure I will be taking more of their courses in the future. I also became a student of meditation, and now Buddhism. So in my ‘middle-age’ as some would call it, I’m aware of not yet knowing how this world works, and I turn to teachers for guidance. Am I over the hill now, or at least on the top? I don’t mind that analogy- as long as the way from here leads me to exciting new places, in excellent company.